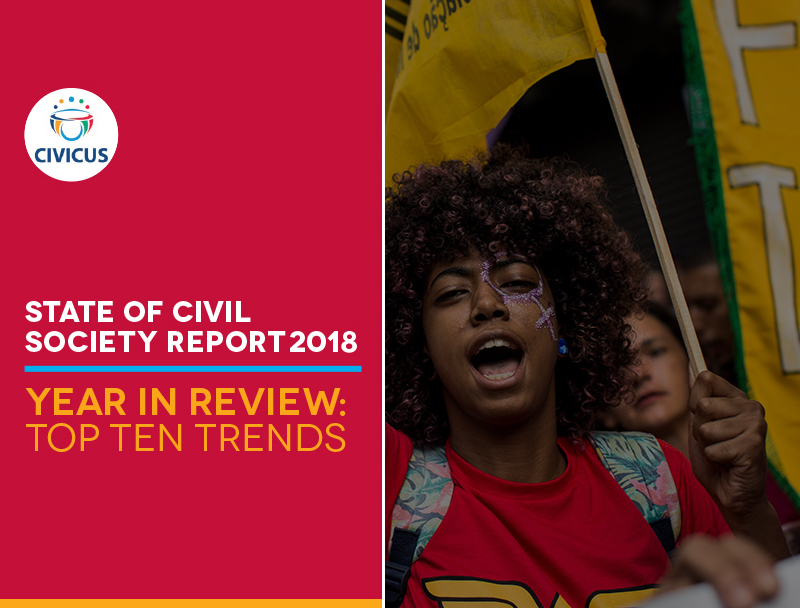 Each year the CIVICUS State of Civil Society Report examines the major events that involve and affect civil society around the world. 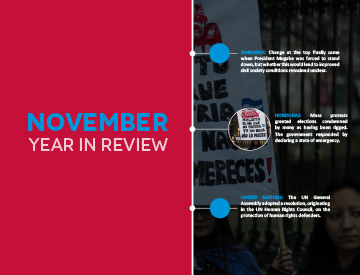 Our report is of, from and for civil society, drawing from a wide range of interviews with people close to the major stories of the day, CIVICUS’ ongoing programme of research and analysis, and findings from the CIVICUS Monitor online platform tracking the space for civil society around the world. 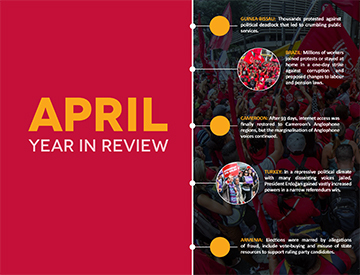 This report kicked off a series of dialogues around 'Reimagining Democracy'; a synthesis of these dialogues is published in the report Democracy for All: Beyond a Crisis of Imagination. 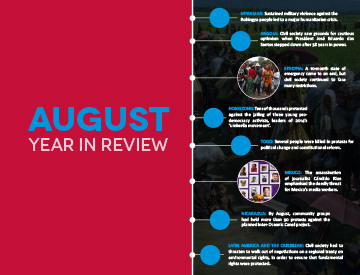 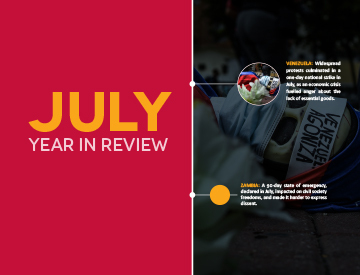 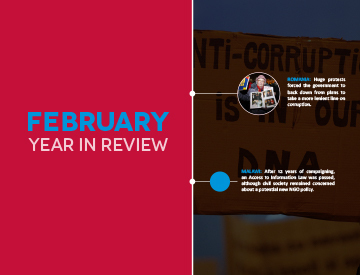 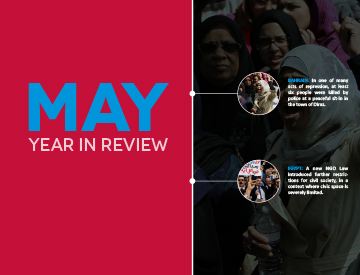 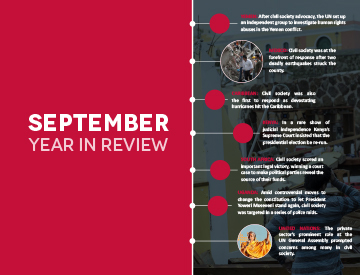 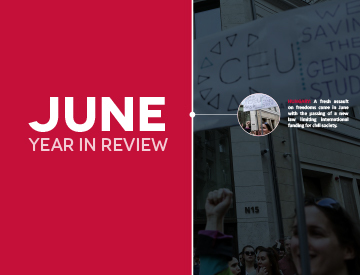 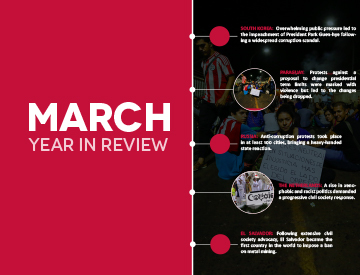 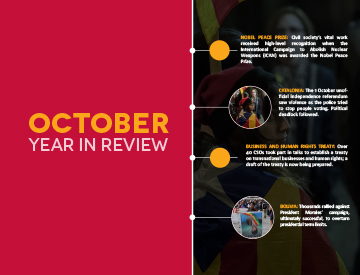 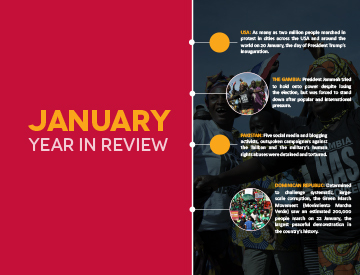 Our monthly Year in Review looks back at the key stories for civil society in 2017; the major events that civil society was involved in, responded to and was impacted by. 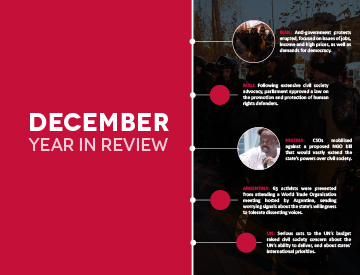 Civil society is fighting back and building resolute resistance.